It’s been a busy week as always. I can’t believe how quickly the days are flashing by now. Being the sad individual that I am, I installed a countdown on my phone last October to remind me how many days remained before my release from the daily grind. At the time, one hundred and eighty days seemed a lifetime away. Now just twenty four remain. I’m closer than ever to a life on the cut and I’m now physically closer to the canal itself. Over the last few weeks I’ve been tarting up a little used section of our older Locks marina. The north east finger of land between the marina and the canal has been unused since the marina was built twenty eight years ago. There’s a rusting dump barge sitting in the mud eight feet from the bank. Over the years it’s been used to moor our out of season hire boats to free space on the wharf for passing trade but apart from occasional visits by marina staff to check and move the boats there, this side of the marina entrance is very, very quiet. Initially, I wanted to return to Calcutt to moor for four months over the winter. The company agreed I could have a mooring, but didn’t know where to put me. The dump barge was jokingly suggested but the more I thought about it the more I liked the idea. I like peace and quiet and solitude. So does Sally. We’re both happy being antisocial together. A brace of marinas crammed with more than two hundred and fifty boats wouldn’t usually be our first choice for the solitude we crave, but the dump barge offers us the best of both worlds. We decided to take the mooring full time so that we have somewhere to call home when we’re not out cruising. 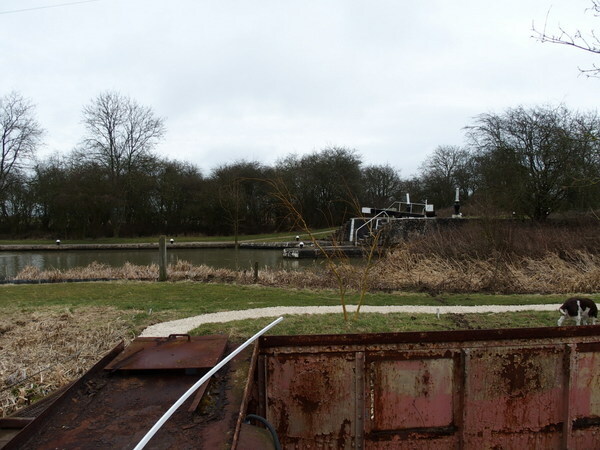 My mooring in Meadows marina is paid until the end of April so the plan was to move to the dump barge then but marina owner Roger Preen suggested that if moving earlier suited me, the move would help them too. A number of other boaters were waiting for me to move before they could switch to new moorings. My move would set the ball rolling. Sally agreed that sooner was definitely much better than later, so we moved house last night as soon as I finished work. In my previous life I remember all too well the misery involved in moving from one bricks and mortar home to another. Days, sometimes weeks, of careful packing, a long and tense day ferrying unwieldy packages between house and van and then between van and house, the inevitable breakages, arguments and tears, and then weeks before everything was in place in the new home. We moved house yesterday in ten minutes. We loaded half a dozen bags of coal on to the front deck, disconnected the shore line, untied two ropes, moved the boat three hundred metres from one mooring to the other, tied the boat up, connected the shore line and offloaded the coal. All done, no stress and no tears. Now the mooring preparation and boat move has been completed I can concentrate on the dozens of jobs remaining on my groundsman to do list. Late winter and early spring at Calcutt is a time of frantic preparation for the coming season. Our fitters and engineers are working frantically to ensure that our own twelve hire boats and the four we look after for the Royal Navy are working properly and looking good. Pat and I have very little to do with that side of the business other than move the boats from A to B, but there’ still plenty of pre-season site preparation for us to do. My job isn’t always lazy days sitting on a ride on mower whizzing over grassy banks thick with sun kissed wild flowers. Sometimes I have to get my hands dirty like I did this week. I was on bin painting duty. It’s not a glamorous aspect of my job but it’s very satisfying. In the yard adjacent to our wharf is a battered blue cubic skip for the site’s non recyclable waste. Our paint supplier made a mistake with the custom green paint we use on the four sixty two feet long narrowboats we maintain for the Royal Navy. The dark green paint wasn’t the right colour green for the boats, but it was just right for tidying the skip. I painted the skip, painted the scrap metal bin beside it and, in a moment of madness, painted the rusting back of our site truck as well. Another essential but dirty job is removing accumulated oily water from the trap which collects contaminated slurry from engines being worked on inside a brick bund next to the engineering workshop. Pat and I sucked the stinking liquid from the brick lined trap with the site’s man sized “Big Brute” wet vacuum cleaner, hoisted the vacuum cleaner into the air, then drained the contents into forty gallon drums ready for collection by the company’s waste oil collection contractor. It’s not a job I enjoy but given that it’s rarely done more than once a month and I leave in just over three weeks, it’s probably the last time I’ll have to do it. On Friday another one tonne bag of Cotswold Buff stone was delivered while I was off for the day so on Saturday I had the pleasure of shoveling it into a wheelbarrow, dumping it on to the now very smart path up to the dump barge then raking it level ready for compacting. One more bag will complete the path to our new home. More containers also arrived on Friday; two for our moorers’ storage area next to the tip and a forty feet long container to store engine parts in the yard next to the wharf. We’re now just waiting for one more container to complete the set in a now very smart wharf-side storage area. Life on the boat has been equally busy. At the end of last week I noticed that the underside of the rubber mat on the cabin floor at the bottom of the steps leading up to the front deck was soaking wet. I pulled the steps out to look under the front deck and saw water seeping in to the cabin from a damp area under a jumble of pipes leading from the water tank. There was a possibility that the damp patch had been caused by an overflow from the deck above after an enthusiastic deck cleaning session by Sally a couple of days previously. She didn’t think much of my habit of emptying the stove’s ash pan into our galvanised ash bucket in the covered well deck while she was away. The ash pan is normally emptied in to the bucket on the jetty rather than inside the enclosed front deck space, but I chose the easiest option when left to my own devices. An option which resulted in a thin grey film of ash on the blue plastic deck matting. Sally had spent an hour spring cleaning the front deck with some vigorous scrubbing and a steady stream of icy water from our hose attached to the marina water supply. The water on the cabin floor could possibly have been an overspill from the deck above’s liberal drenching so I mopped everything dry and, as is usual for me, tried to hide the problem and forget about it. Unproductive denial in this particular case was easily achieved by pushing the wooden steps back into place so they hid the damp patch in front of the water tank. Of course, the water under the mat wasn’t Sally’s doing. It was back again Thursday morning, pulsing from the water tank’s pressure pump each time a tap inside the boat was turned on. I did what I always do when common sense and the use of the most basic tools is required. I panicked and called for help. Russ, our underpants-on-the-outside plumbing super hero, arrived just before 5pm to diagnose the problem. Using my own DIY problem solving abilities as a benchmark, I expected him to need half a day and much head scratching and teeth sucking before he had found a solution. He didn’t. Within twenty minutes he had replaced my old pump with a new one I collected for him from our chandlery. Russ told me that a pressure pump on a narrowboat usually lasts a maximum of three years, providing the boat has been winterised to protect sensitive water bearing parts from freezing over the cold winter months. My boat had been pretty much left to its own devices on one mooring or another on the two marinas here for thirteen years before I moved on board in April 2010. Russ suspected that my pump had been in place for much longer than three years. He was right. The date stamp on the dusty pump indicated that it was twenty five years old. The date wasn’t necessarily indicative of the pump’s fitting date but it was certainly installed before the boat came to Calcutt full time in 1997. I don’t expect the new pump to fair nearly so well but I live in hope. On Thursday I also had a visit from marine electrician Dave Reynolds and his ever-smiling wife Alex. They’ve worked on the boat half a dozen times now and I really look forward to their scheduled visits. I know they’re going to turn up when they should, I know they’re always going to be cheerful and I know the work will be done to the highest standard. They replaced three defunct and unattractive ceiling lights with smart seven inch LED domes, installed two new 240v sockets in a cupboard to hide a rat’s nest of wiring behind the TV mounted on the shelving built in to the front starboard bulkhead and installed a 12v ceiling fan inside the cabin and a key safe next to the front doors on the front deck. The ceiling fan is a solution to the problem I have pushing the warm air from my stove down towards the back of the boat. Those fortunate enough to have a Morso Squirrel stove on their boats simply stand an Ecofan on the stove’s top plate then wait for the stove’s heat to turn the fan blades so rapidly it’s in danger or taking off. My own stove has a double skin on the top plate so even if there’s a raging inferno inside, I can still rest the palm of my hand on the stove without discomfort. An Ecofan simply wouldn’t work on it. The new 1 watt duel speed 12v fan is a success. It’s not as quiet as the silent Ecofan but the gentle hum is bearable, as is the cabin temperature at the far end of the boat now that the fan has increased it by four degrees. I’m hoping that the multi directional fan will also provide us with a cooling breeze in the (hopefully) hot summer months ahead. The key safe – here’s the one I purchased from Screwfix – was an idea I picked up from a forum thread I read about a guy who had been locked out of his boat. He’d stepped outside for a moment when an excited dog had jumped up at the front doors, pushing them shut and engaging the Yale lock. He spent a few anxious hours and a considerable amount of money before he could get back into his floating home. The least expensive option had been to ask a local locksmith to break into the boat for him. We don’t have the same problem as this unfortunate boater. Our doors are secured from the outside by a padlock or by four bolts when we’re inside the boat, which is just as well because we certainly have two excitable dogs. Our main problem is my inability to keep hold of my key ring as I step on and off the boat. I’ve dropped my bunch of keys in to the water twice now. On both occasions we were fortunate because either Sally had her keys with her or we had access to the back of the boat where I keep my recovery magnet and reel of Paracord. A recovery magnet is an essential piece of boating equipment. So far I’ve used ours to retrieve keys, shackles, a length of fender chain and a couple of windlasses. It’s more than paid for itself but it’s no use at all if it’s locked in the boat. Our new key safe is now fixed firmly to the steel bulkhead and contains spare keys for the front and the rear padlocks. I don’t know whether we’ll ever need it but the relatively low cost contingency measure has afforded us a great deal of peace of mind. “Not sure I can agree with you on the gas central heating . . . we run ours for 1 to 2 hours in winter and that’s enough to warm the radiators (2 in the saloon, one in bedroom and a towel rail) and give us hot water. Our boiler is an Alde compact, no increase in humidity in the boat and it uses at worst 0.5 kg gas an hour so on this regime, a 13 kg bottle will last 26 days. The boiler is thermostatically controlled – I installed a wireless and portable gadget and this will knock off the boiler if the cabin is at the right temp. With the Squirrel going, we only need the CH on in the mornings. Friends with diesel CH do the same and spend exactly the same, in money terms on their fuel. The gas boiler never needs servicing unlike the diesel ones plus it’s near silent and doesn’t stink of diesel . . . just my views! I pointed out to Steve that he was using his gas central heating to supplement the heat from his stove rather than use it as the only source of heat on board and that if he used the gas central heating for just one or two hours a day without the stove on, he would have a very cold boat. He mentioned that his gas central heating uses 0.5kg an hour when it’s on its highest setting. A 13kg cylinder costs £27 here at Calcutt so his heating would cost £1.04 an hour to run at this setting. My stove isn’t a particularly good model but a 25kg bag of coal briquettes lasts me for two and a half days on average or roughly £5 a day. Coal briquettes offer much more cost effective heating than gas. “I’m part way through reading, and enjoying, your latest newsletter and I’ve got to the bit about painting. I’m very concerned about your idea of multiple coats of the same colour primer being a cheap way of keeping a boat painted. The primer coat, on anything, is designed to give a good key between the material being painted and the subsequent coats of paint. It is the critical coat of paint in any system, get the primer wrong and the top coats will not do their job properly and the paint film will break down prematurely Worse still, water will get behind the paint and invisibly rust the boat away. “I think that I would be brave to counter the information you have been given, as my experience is slightly different from yours. The boats I was working on were sea going so we were using appropriate coatings. However, I see the same paints by manufacturers such as International and Jotun being used on the canal, so I can’t imagine that the primers used on the cut would be any different. I was always told, by the paint company reps and the marine superintendent who advised us, that primer ( we usually used International Interprime 198 above the water) should only be considered a holding coat as essentially it was porous. If you can think back to the times when cars used to rust much more than now. You would often see cars where the owner had started enthusiastically, usually just as winter was about to set in with dark nights and bad weather. The rust was removed and a coat of primer applied but then the enthusiasm waned and the top coats were never applied. The result was that the rust not only came back but accelerated. I suspect that the boats you have seen in primer might be the consequence of the same syndrome with the owners saying that they really must get and finish the job – sometime. The golden rule with any paint job is, as you know, preparation. I was working on heritage craft and we used to go back to bare metal, on the inside as well as the outside of the hull, as boats rot from both sides! On a typical narrow boat, I admit, that would be difficult to achieve with all the fitted accommodation. I suspect that Graham’s advice is more accurate than the advice I was given so I am grateful for his contribution. I spent February 2014 in the Philippines with Sally. While spending the coldest month of the year on a tropical island in a bamboo hut at the base of an active volcano was both a welcome change and a wonderful adventure, I was slightly worried about my floating boat being unattended in sub zero temperatures. Fortunately, even though I was over six thousand miles away I was able to check the temperature and humidity inside the cabin and the boat’s precise location thanks to a new remote boat monitoring system, Maxmon. 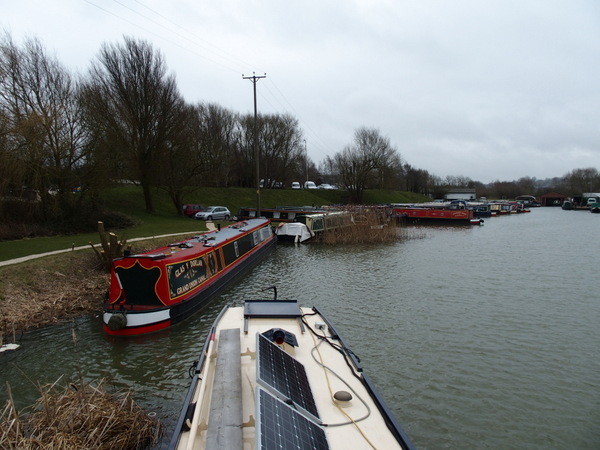 Oxfordshire, UK – March 2015 – Worried about water ingress when away from your boat? Or strangers on board? Or the state of your batteries? By adding a custom app, a little ‘black box’ and sensors to a low-cost Android phone Oxford engineer (and boat owner), Dr. Martin Lambert, has come up with a new and affordable way of watching over the security and condition of your boat while you’re not there. For prices from £0-£360 you can receive daily email or text reports, or immediate alerts, providing you a raft of information about what’s happening on your boat. The app is free and you can install it yourself on a spare Android phone or he can supply you with a pre-configured phone. His MaxMon app tells you whether your boat has been moved, or has visitors, whether water is getting in, the state of your batteries and shore power, and can even email you pictures of your boat’s interior. Add the appropriate module and you can turn battery- or shore-powered equipment on and off remotely. It’s all there, and more besides. And it won’t cost you an arm and a leg. For full details, visit the MaxMon website at http://maxmon.co.uk/boats. I found Maxmon very useful indeed. We don’t have any immediate plans for spending an extended period away from the boat but if we did I think Maxmon would be on our shopping list. If you’re new to this site you might not know about the service I launched in June 2014. 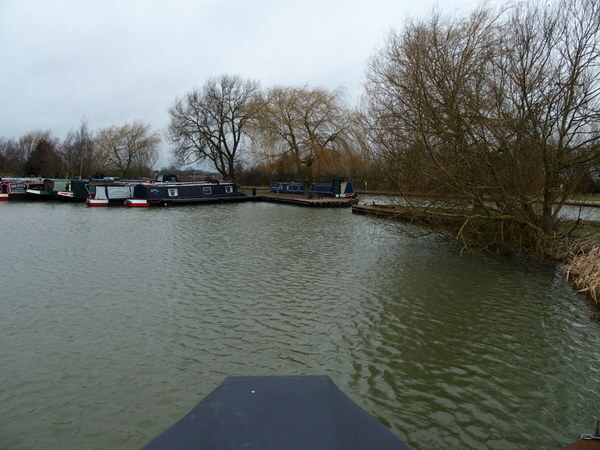 I host narrowboat experience days on board my own 62′ long narrowboat James No 194. The ten hour days are a combination of discussion about the pros and cons of living on board, narrowboat designs and the best equipment for live aboard boaters, and a six to eight hour helmsmanship training cruise along the Oxford and/or Grand Union Canals. I’ll be running the discovery days approximately on the first ten days of April, June, August, October and December this year. As spring approaches more and more site users are booking the relatively few discovery days still available. April is now fully booked apart for one date for a single person, and just four of the thirteen June dates remain. August onwards is still relatively free. If you are interested in joining me for a fun and information packed discovery day please check the diary before it’s too late. In the meantime, meet September 2013 discovery day attendee Justin Parrish. “I thought the day was splendid. As you know I am planning to buy a canal boat and live on board cruising permanently. Although I have plenty of holidaying on boats experience I had gaps in knowledge and was particularly after information/tips on buying a boat and preferred specs, some explanations on technical aspects and to gain some experience with solo boating. I thought you covered everything I was after. The walk round your boat explaining systems and talking about relative merits of different types of heating etc was great and will help me greatly with buying a boat. I enjoyed the cruise and was grateful to learn how to solo lock with someone about to help or fish me out of the canal if needed. The way you get information across is very good with your knowledge, patience and enthusiasm for the subject always coming through. I can not think of anything else I needed on the day, I think the merit of your day is that it covers pretty much everything with enough time to still be tailored to the needs of those who attend. Yes. If anyone is thinking of canal boating and has any doubts in their mind about any aspect then the day is well worthwhile. I’m sure novices and veterans could all learn something and you were great company throughout. You can find out more about my discovery days and availability here. Don’t forget that there’s just one date for a single person remaining for April now so if you want to spend a spring day out with me you need to book quickly. I created the site just over four years ago to provide a source of information for anyone interested in narrowboats and the possibility of living on one full time. 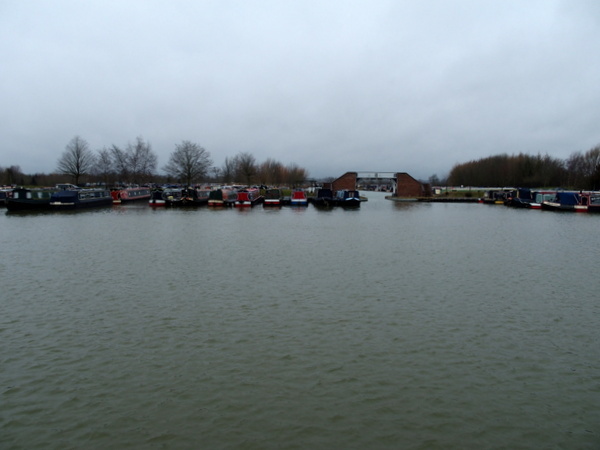 The site has grown to encompass a comprehensive listing of inland marinas in England and Wales, dozens of articles, a forum and regular newsletters. I’ve already created (below) indexes of the site articles and the more popular forum posts. I thought it was about time I created an easy to use index of the newsletter content. Here’s the index so far. Running a boating business – How to earn a living on the cut. A Cautionary Tale – Canals and narrowboats offer all the ingredients for some pretty nasty accidents. Here’s one which could have been much worse. Shared ownership – If you can’t afford a whole boat, why not buy part of one? Here’s how you can enjoy narrowboat ownership but at a fraction of the normal cost. Here’s a live aboard narrowboat fully equipped for long term cruising. It’s my own boat James No 194. There’s a five minute video tour of the boat and a summary of the pros and cons of the boat’s design and equipment. London cruising – Every week I receive emails from potential boat owners who want to live on board in London or who want to visit the capital as part of a holiday cruise. This advice from a very experienced boater will be of great interest to you if you’re one of them. Narrowboat fuel consumption – How many miles to the gallon can you get out of your floating home? How to spot bogus narrowboat adverts – Beware narrowboats for sale at bargain basement prices. Here’s a cautionary tale to make you think twice about reaching for your wallet. Narrowboat CO2 emissions – Is living on a boat a green alternative to a home on dry land? You’ll have to read this newsletter to find out. Finding reliable tradesmen on the cut – They are out there but it’s not always easy to sort the wheat from the chaff. Here’s a new service on the site which is going to make the job much easier for you. Anti social behaviour on the cut – How common are the unpleasant incidents you sometimes hear about on the canal network and who are the worst offenders? You’ll probably be surprised. The pros and cons of buying an ex hire boat to live on – How suitable are ex hire boats for living on board full time? I ran short of time during this week and couldn’t think of much to write about anyway, so I just detailed an idyllic week we spent away from the marina, pottering about for a few days in Braunston and then finishing off the week on the south Oxford canal down as far as Fenny Compton. Six months before the start of our continuous cruising lifestyle, it was just what we needed to whet our appetites. Emergency food on board – Some of the most pleasant places to moor are a long way from the nearest supermarket. Here are some suggestions to ensure that you’re never short of a tasty meal on your idyllic canal-side retreat. Cruising in adverse weather conditions part two – A continuation of the previous week’s newsletter. Cruising in adverse weather conditions – Steering a narrowboat over the glassy surface of a placid canal on windless day in the middle of summer is child’s play. Here’s what you need to do on a “normal” day’s cruise. Following your dream – Is your goal to some day spend a life of leisure out on the canal network? This article might encourage you to make a move sooner rather than later. Long term narrowboat hire – Is hiring a boat long term a realistic alternative to buying one? 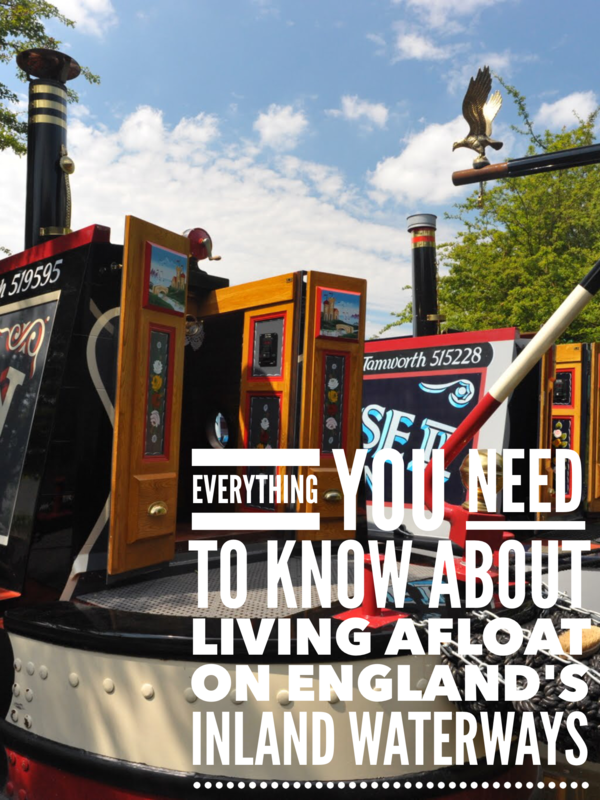 living on board in the winter, the cost of living afloat generally and where you can moor your floating home are all subjects which are misunderstood by many aspiring narrowboat owners. Here’s what you need to know. The pros and cons of a wide beam boat – More and more wannabe boaters are considering more spacious wide beams rather than narrowboat. There is clearly more living space on board but how practical are wide beam boats on the inland waterways? The dreaded weed hatch – Sooner or later your engine will start to overheat, you’ll lose propulsion and you’ll know that you need to dive down your weed hatch to free an obstacle or two from the propeller. Here’s how to do it properly and a list of the tools you’ll need. Practical experience for lone boaters. Here’s an account of a day’s cruise with a nervous single boater. He wanted enough confidence to deal with locks on his own. I spent the day with him, designed a route to include twenty six locks and spent ten hours helping him hone his locking skills. Speeding boats – Are rocking stationary boats the fault of speeding passing boats or the fault of boat owners who can’t moor securely? Boat Handling – lock and paddle gear types. Single handed boating – Negotiating locks. Single handed boating – Choosing the right type of boat for single handed cruising and equipment to make your solo journeys safer and more enjoyable. How to avoid common narrowboat accidents. They happen far more often than you might think. Here’s what you need to keep yourself out of harm’s way. If you want to live on your boat and don’t want to, or can’t, cruise full time, you must have a residential mooring. Here’s how to find one. A cautionary tale if you are considering buying a wide beam boat to live on. A further update to the site content index. The A -Z of everything narrowboat – With over 5,500 posts and pages on the site now, quickly finding exactly what you want can sometimes be a problem. For this newsletter I started creating and A-Z index of all the site content.